Outback was an instructor at both the Survival School and the Jungle Warfare Training Center. Most people are intimidated by wilderness. They don’t feel comfortable where there’s no sign of human life for miles – not Outback! He believes in being part of his environment, not its adversary. As a survival expert, he trains the team to spot hidden dangers when setting up a shelter and to be able to fight in remote, inhospitable environments. 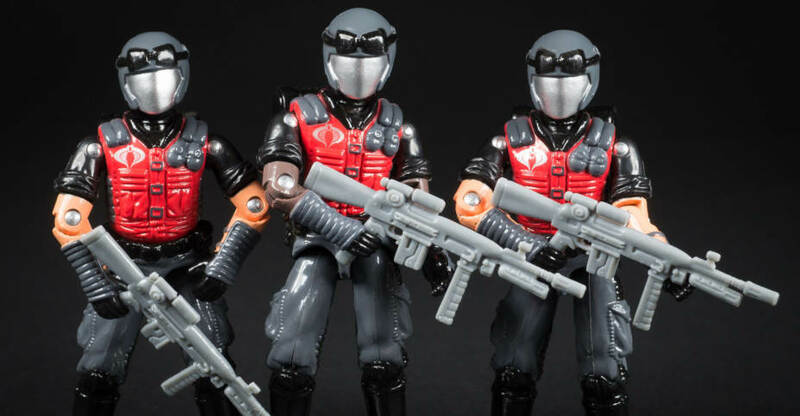 Check out images of the Black Major Custom Cobra Naval Infantry made from Cobra Vipers that double as Eel’s. 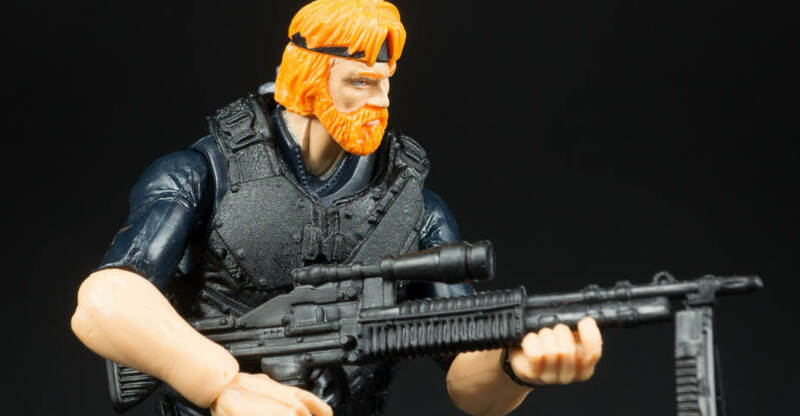 If your a ARAH army builder fan your not going to miss out on these. 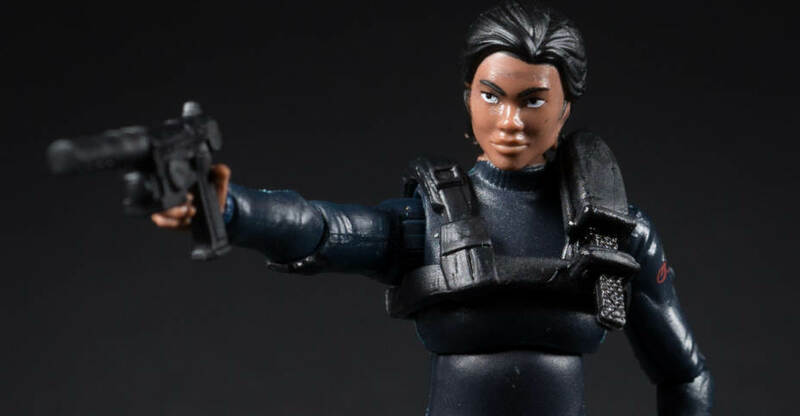 Check out all the new Custom Cobra Viper Eel’s Naval Infantry images after the jump. Pulling the trigger is the next to last thing Jodie “Shooter” Craig does as an expert marksman. First, she might take days to move into shooting position, progressing by inches. Then she remains motionless in the hide, waiting for the target to appear. Once the target is acquired, she uses hard-won skills and esoteric knowledge to judge wind deflection and bullet drop before exercising precise breathing control prior to trigger break. The last thing she does is the hardest – getting away. Storm Shadow can trace his family history through 30 generations of Ninjas. He’s an eight-degree black belt in five different martial arts and a qualified expert in multiple martial arts weapons, including longbow, samurai swords, throwing stars, and nunchaku sticks. 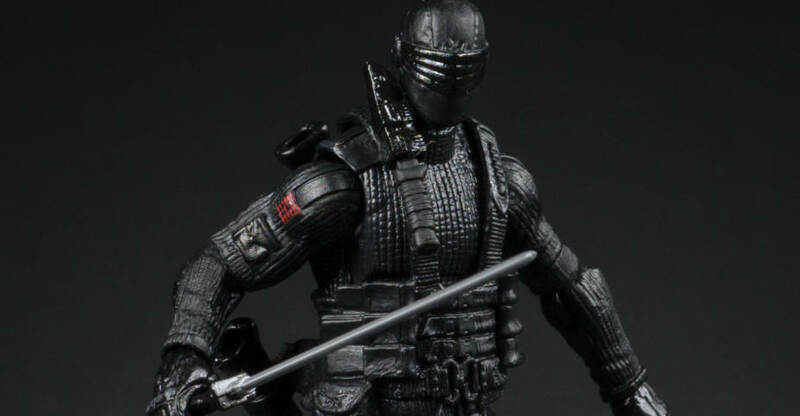 He and Snake Eyes were once sword brothers in the Arashikage Clan but are now enemies and the two most powerful Ninjas in the world. 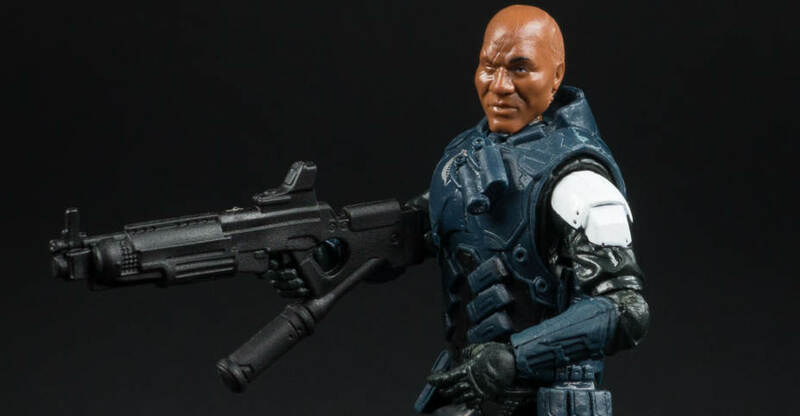 Snake Eyes is proficient in 12 different unarmed systems(among the karate, kung-fu, and jujitsu) and is highly skilled in the use of edged weapons. He has received extensive training in mountaineering; underwater demolitions; jungle, desert, and arctic survival; and some form of holistic medicine. 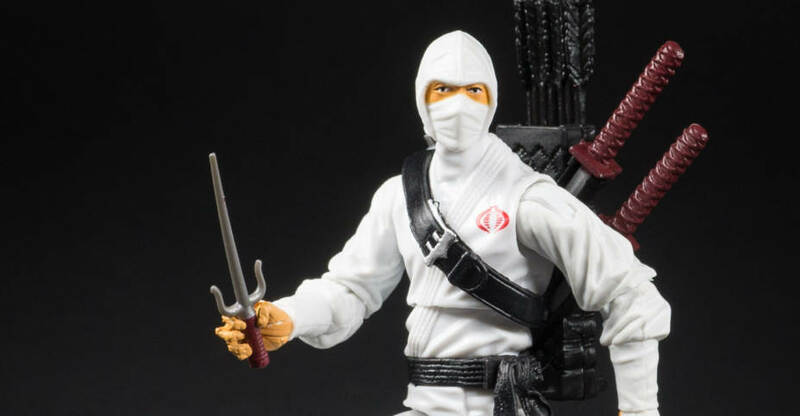 His archenemy is the Cobra Ninja Storm Shadow, although they were once sword brothers in the Arashikage clan. A tragic event has made them bitter foes, clashing in combat as only the two greatest Ninjas in the world can. 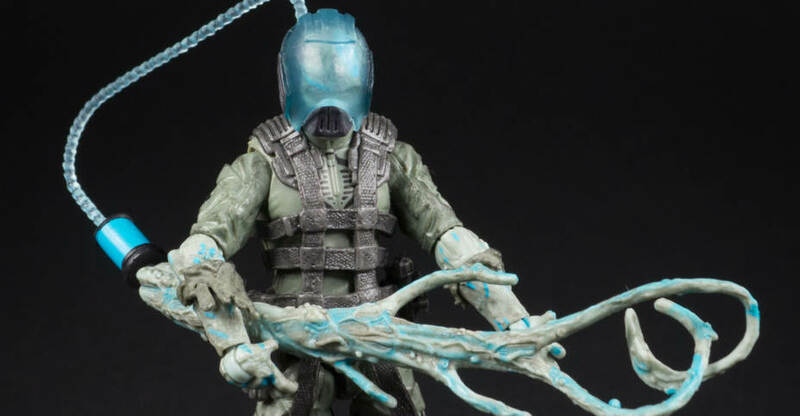 Zombie Vipers are Cobra infantry troopers who have been given a mysterious chemical substance, Compound Z that has turned them into drones. Wiped of all thought, they follow orders mindlessly and cannot be reasoned with or sidetracked. They have retained their skill in combat; in fact, their desire to fight has been increased, making them more dangerous than before. In other words, they are deadly Zombie warriors. 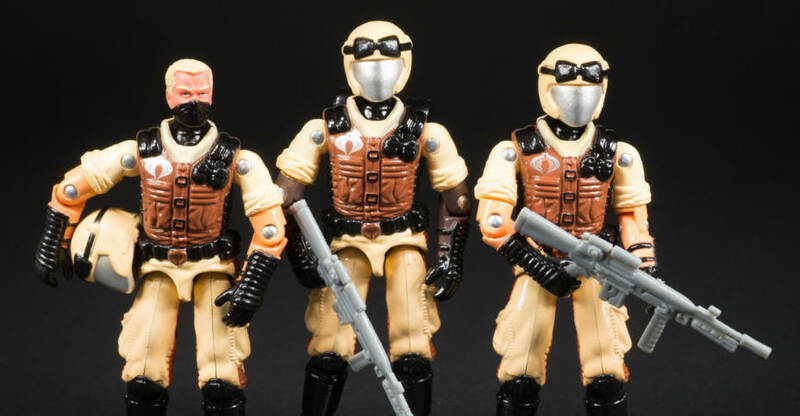 Tombstone is a mysterious, high-ranking member of the Cobra organization. He strikes fear in his enemies through a combination of strong tactical leadership and cunning psychological manipulation. 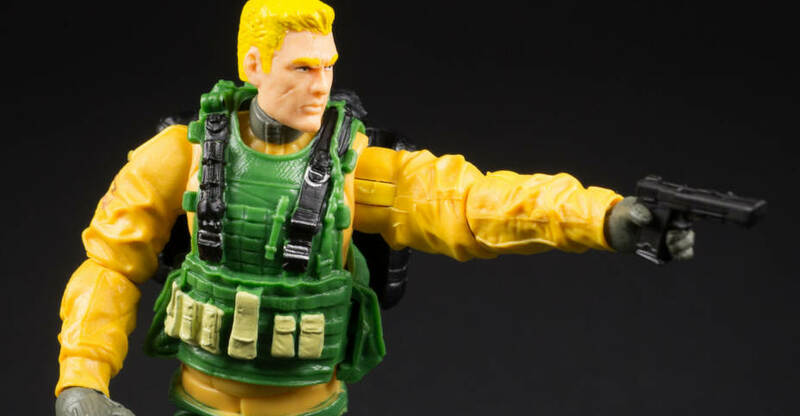 His battlefield brilliance engenders deep loyalty among Cobra troops. When he faces Conrad “Duke” Hauser in battle, he meets his equal in leadership and skill – and finds a warrior who does not succumb easily to mind tricks and phantom terrors. Fluent in several languages, Duke graduated at the top of hiss class at Airborne School, Fort Benning. Calm and determined, he commands by winning respect. He turned down a battlefield commission because it would distance him from his troops – and keep him from the center of the action. 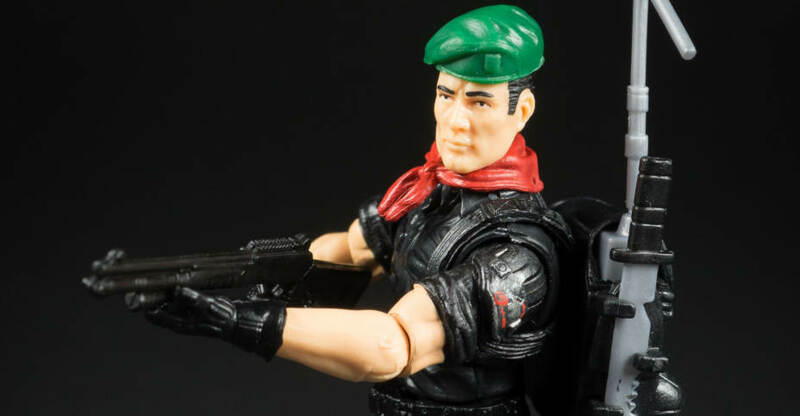 When he faces Cobra leader Tombstone, he meets a foe who is his equal in rank and combat skill – and a psyops warrior without equal in the art of terrifying enemies into surrender.